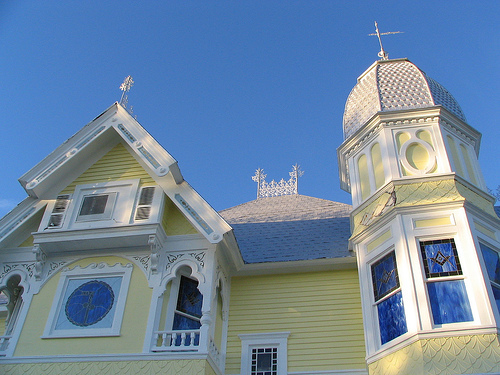 Mount Dora is a Central Florida town which I visited years ago. It's as charming as it appears in these photographs. 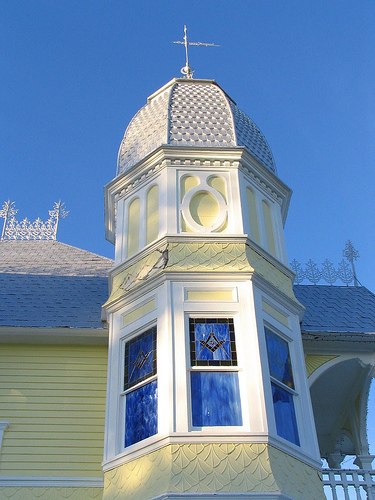 "At an elevation of 184 feet above sea level, Mount Dora is Florida’s equivalent of a mountain top town," a city website says. "Donnelly House, Mount Dora" by Joel Mann. You can read about this historic house here. "Donnelly House, Mount Dora" by Joel Mann. The photographer comments: ". 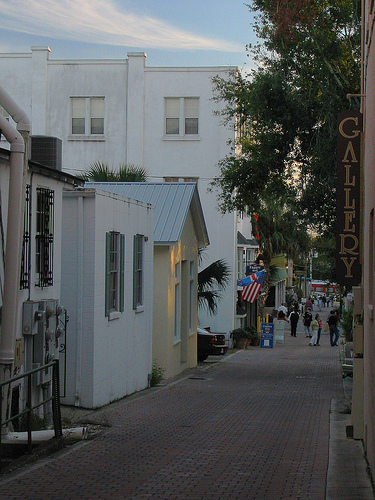 A 14-foot alley offers separate entrances from the main street (to the left of the photo): the surprising grade of the main street means these buildings' primary entrances are a floor above these in the photo."